Android isn't just dominating smart phones, it's dominating all computing platforms. 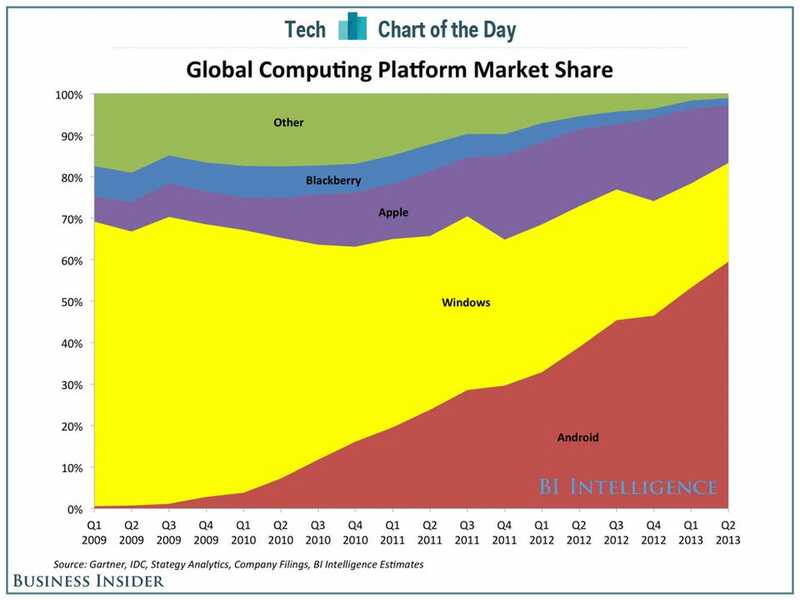 This chart from BI Intelligence shows that Android now has 60% of all computing platforms. Microsoft's Windows, on the other hand, is at 24%. Apple is at 14%. Whoever takes over Microsoft has to fix this chart. Just a few years ago, Microsoft has 90% of computing market share. Now it's gliding towards irrelevance.